Brand it and make it your own! Upload six custom images from your hard drive to ours and put this lovely Georgia Flyer to work for you. 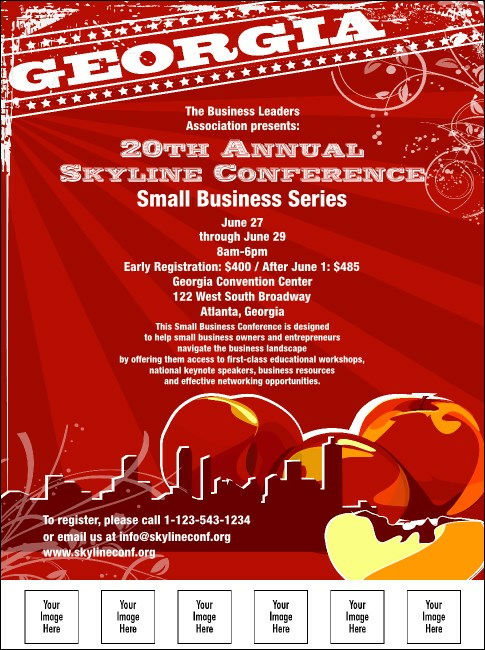 With a delicious image of huge, ripe peaches towering over the Atlanta skyline, this red and gold Flyer is a sweet sales technique that can help you sell tickets to your upcoming Georgia event. TicketPrinting.com is dripping with juicy deals for your local events!